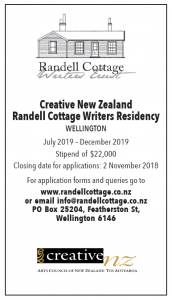 Applications are now open for the 2019 Creative New Zealand Randell Cottage Writers Fellowship. 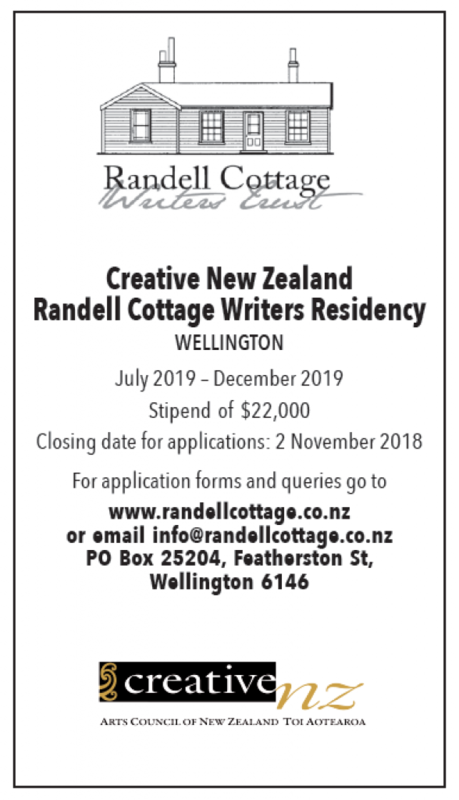 The deadline for applications is Friday, 2 November 2018. More information about the residency can be found here. Applications for the 2018 fellowship will be accepted from 1 September 2018 to 3 November 2018. The successful applicant will be announced in December.